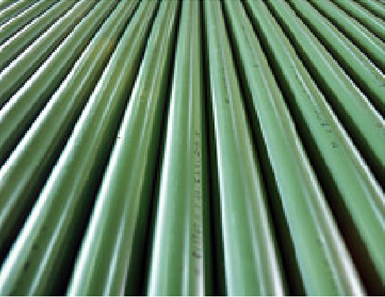 Carbon steel pipe for ordinary piping (JIS G3452) with its outer surface hot-melt coated with polyethylene resin provides excellent physical properties and satisfies all corrosive resistance properties required for underground installation. Note: Products are without threads. White and black are available. Note: Length 4000 type can be produced to order.